Good news for Sony executives. 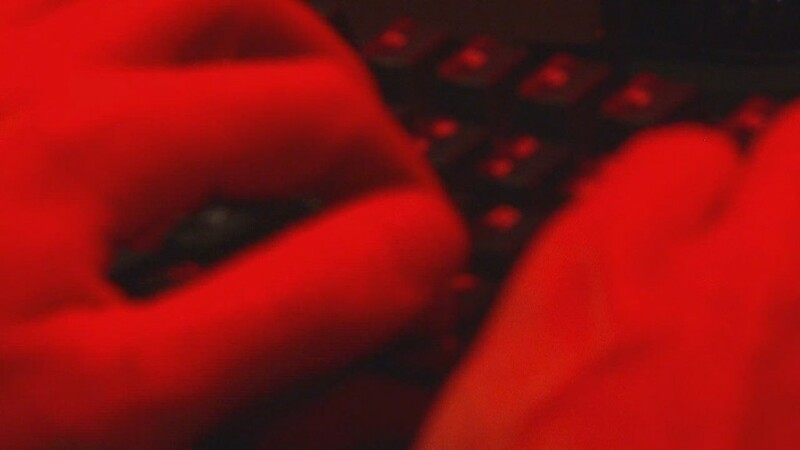 This story will not divulge any new confidential, damaging information from the treasure trove of emails that hackers have leaked online. Bad news for Sony executives ... and investors. This story is about how all those emails may be a reason why Sony (SNE) shares have plunged more than 10% since the beginning of last week. Sure, it's been a tough week for the global markets and Japanese stocks, in particular. 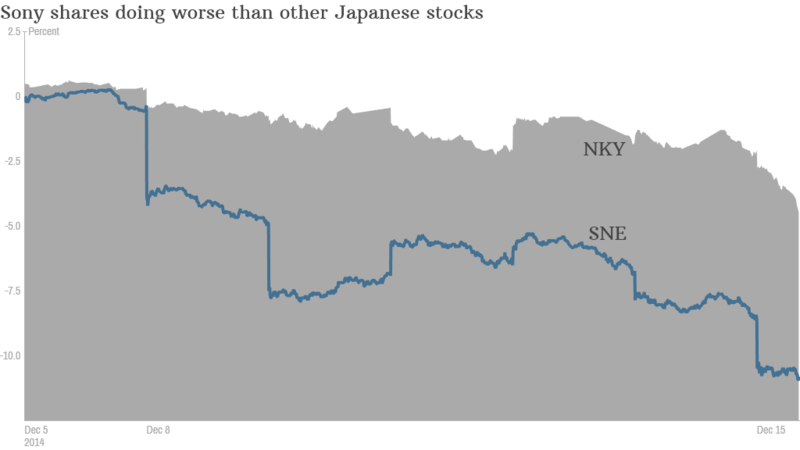 But Sony's stock has fared considerably worse than Japan's Nikkei Index. It's hard to know just yet whether or not the attack on Sony's movie unit by a group calling itself the Guardians of Peace will have a huge financial impact on the company. At a bare minimum, one would think that Sony will need to invest more in cybersecurity measures. It's possible though that Sony's box office could suffer as a result of movies and scripts being put up online. There are also some questions about whether some A-list celebrities will want to work with Sony again after having Social Security numbers and other important information leaked. Other movie stars have been disparaged by Sony executives. Bill Fries, co-manager of the Thornburg International Value Fund and an investor in Sony's stock, said that it's "not good for any company to have management show such insensitivity that gives them adverse publicity." He predicted that the controversy should continue to dog Sony for the next few weeks, but he wasn't sure if it would really hurt the movie unit's revenue and profits. Fries also declined to say if his firm was making any changes with its Sony investments as a result of the hacking problems. The stock's recent slide could be an overreaction. After all, the Sony pictures division, which also includes a television studio, only makes up about 10% of the company's overall sales. But it did lose money in the most recent quarter. The movie business is notoriously volatile for all studios, and Sony has had a rough few years lately. It was the top studio in terms of box office in 2012, according to figures from industry tracker Box Office Mojo. But it was fourth last year and fourth again in 2014, trailing Fox (FOXA), Disney (DIS) and Warner Bros., which is owned by CNNMoney parent company Time Warner (TWX). Activist shareholder Dan Loeb had put pressure on Sony to spin off a portion of its movie and music businesses last year as a way for the company to raise cash. The company refused to do so, and Loeb ultimately sold the stock. But it will be interesting to see if calls to sell part (or all) of the entertainment units resurface now that it has become such a big headache and distraction for the company. The issues in the movie business are threatening to overshadow what has been a decent turnaround year for Sony. Shares of Sony are still up nearly 15% in 2014 even after this week's slide thanks to the PlayStation 4 gaming console and image sensors for smartphones and tablets.